A fantastic & very lightly used example of the Campion 545. She is a Canadian built boat constructed to the highest standards. Its Apex hullform is a Kevlar-reinforced V-shape that features reversed chines and a keelpad - a flat area - just forward of the transom. This design softens the ride in choppy waters, provides blisteringly quick hole shots, and remains stable during high-speed manoevres. The owner tells me that despite the smaller diesel engine fitted he has had 2 people wake boarding without any problems & without spending a fortune on fuel! Do you want some cost effective fun? Well here it is, come & get it! If you want a Boat Transport quote then give us a call. 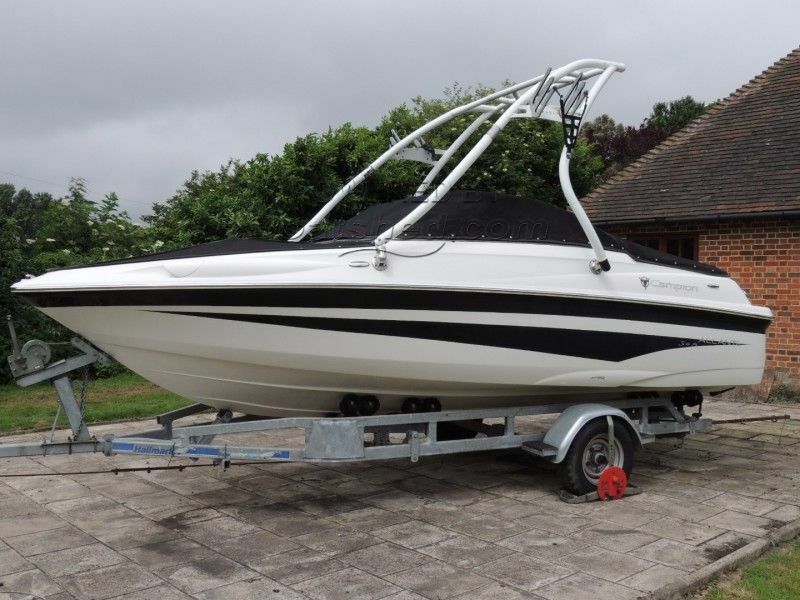 This Campion Allante 545IBR has been personally photographed and viewed by Jamie Nash of Boatshed Medway. Click here for contact details.